At the age of twenty she won the third prize in the Tchaikovsky Competition. 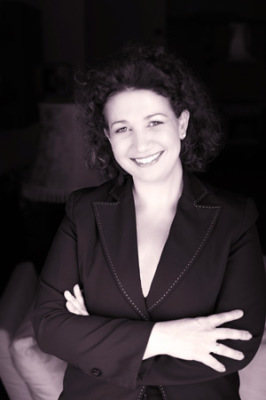 She is regularly invited as jury member in the most important piano competition, as Santander, Geza Anda in Zurich or Rubinstein in Tel Aviv as well as of course Tchaikovsky (and lately Richter) in Moscow. At the age of twenty-four, she won the first prize at the Schumann Competition in Zwickau, and she has been described by the international press as one of the great contemporary interpreters of Schumann. 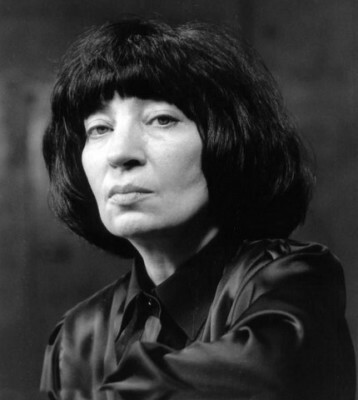 At the same time, the pianist is well known for her wide repertoire up to and including modern Russian composers. 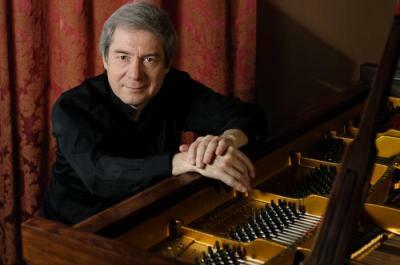 Prizewinner in many of the top international competitions such as the Viotti, Busoni, Leeds competitions and Silver medallist in the 1978 Tchaikovsky Competition in Moscow. 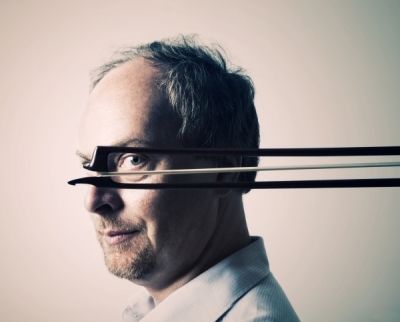 Having established himself as a first-rate interpreter of French solo piano music, Pascal Devoyon has also become one of Europe's most esteemed chamber music players. Pupil of Viktor Tretyakov and Maya Glezarova, he performed in the famous “Moscow Virtuosi” under Vladimir Spivakov. He played as soloist in such halls as Weil Recital at Carnegie Hall, New York, Royal Festival Hall, London, Bolshoy Hall, Moscow. Karen Shahgaldyan is a laureate of International Pablo Sarasate Competition. 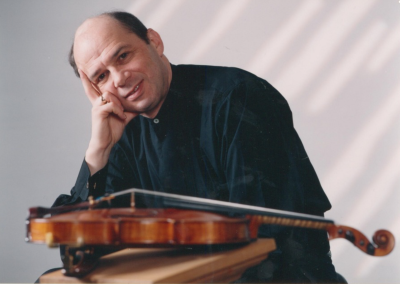 He is a scholarship holder of David Oistrach and Yuri Yankelevich Foundations as well as Mstislav Rostropovich International Foundation. Karen Shahgaldyan has toured widely throughout the USA, England, Sweden, South Korea, Armenia and Russia. 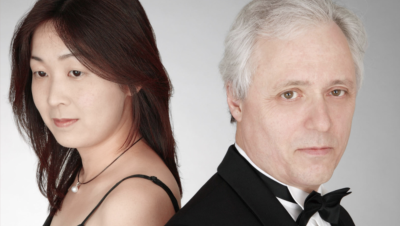 Juror for a number of prestigious International Piano Competitions, including Leeds, Chopin (Warsaw), Van Cliburn, Santander, Beethoven (Vienna), Tchaikovsky (Moscow). 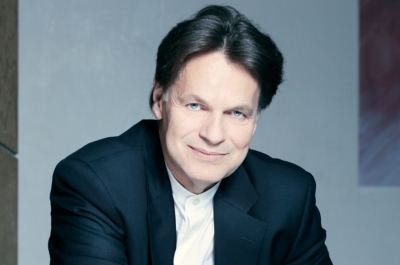 He has performed with the Berlin Philharmonic, Chicago Symphony Orchestra, Philadelphia Orchestra etc…with conductors such as Ashkenazy, Boulez, Svetlanov, Dorati, Gergiev, Giulini to name just a few. 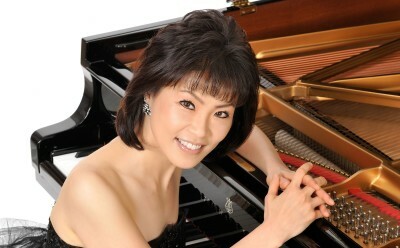 After her success at the Leeds International Piano Competition, Noriko Ogawa she appears with all the major European, Japanese and US orchestras. She is a professor at Guildhall School of Music and Drama. "...Much of David Oistrakh's technical proficiency, mellifluous tone and artistic sincerity are evident in these bigboned Bach readings...Michael Vaiman nevertheless brings striking warmth and humanity to this music, tracing its linear flow with commendable assurance...Vaiman's immaculate technique, poise and tonal purity are constant features of his accounts of the partitas…"
Professor at the Sommerakademie Universität Mozarteum of Salzburg and at the University of Shangai. 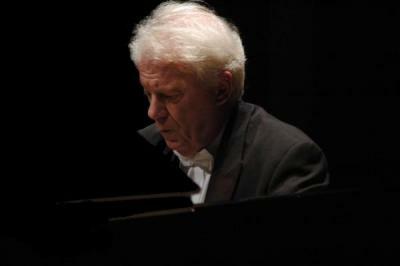 Artistic Advisor of the International Piano Competition “F. Liszt” of Utrecht, and jury member of the most important piano competitions, as Beethoven of Bonn, Géza Anda, Cleveland, etc. 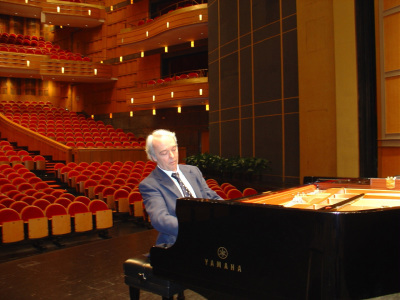 Aquiles Delle Vigne was a disciple of Claudio Arrau, Eduardo del Pueyo and Georges Cziffra, and won the prestigious Grand Prix "Albert Williams". Jury member of important international competitions and he is invited in the most important festivals like Gstaad, Paris, Salzburg, Madrid, Euro Festival in Seoul, Beethoven Festival, etc. under Lord Yehudi Menuhin, Leopold Hager, Georges Octors, Alberto Lysy, etc, and with leading orchestras of the world.